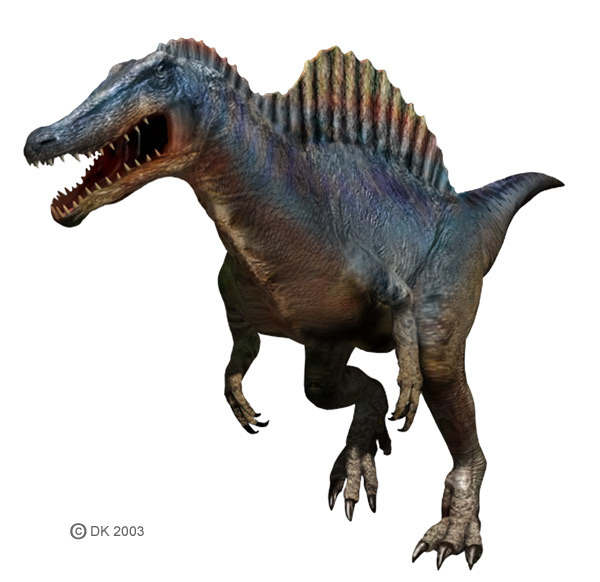 We have complete information about Spinosaurus facts both for kids or adult. Spinosaurus was very popular and featured in Jurassic Park 3. This dinosaur was known as the largest meat-eating dinosaur ever! 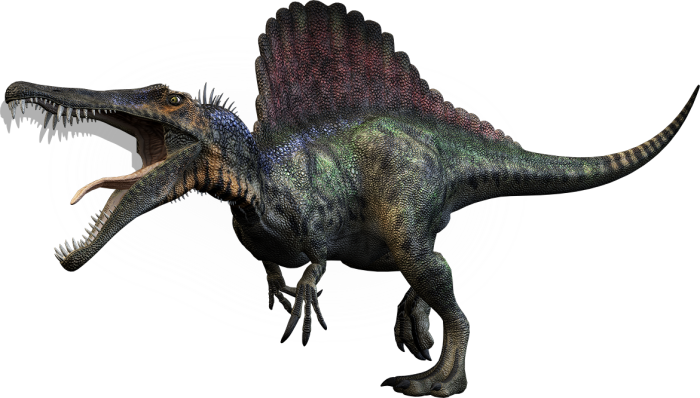 Spinosaurus name refers to its huge spines that grow from its back with 1.5 meters in length. 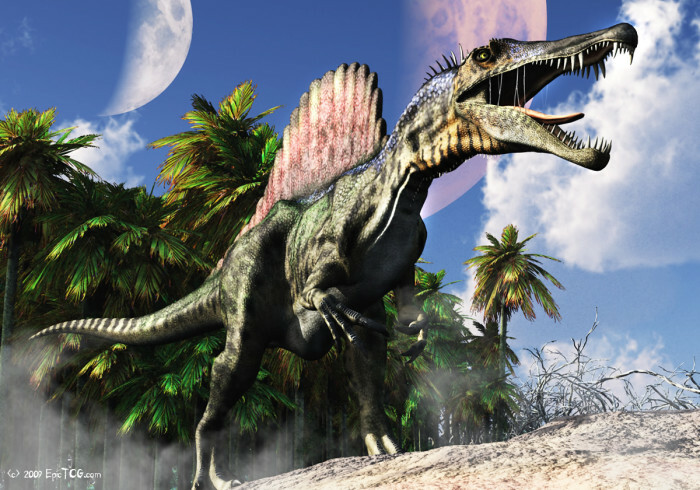 Spinosaurus lived around 112 million years ago in North Africa. Their fossils first found in Egypt around 1911. Spinosaurus is much more bigger than Tyrannosaurus Rex. It was around 15 meters in length and 7-20 tons in weight. It had a long but very thin skull and walked with two legs. It was bipedal dinosaur with a crocodil like head. This dinosaur also have a sail on its back, but many scientists didn’t know exactly about the function . This dinosaur ate fish, they were equipped with straight, large and sharp teeth which were excellent to catch fish. Spinosaurus also known as intelligent dinosaurs. Its brain size relative to body weight, this means that Spinosaurus might be the smartest dinosaurs. According to its structure, scientists agree that Spinosaurus was very similar to grizzly bear and a crocodile. That’s it, that’s the complete Spinosaurus for you. There’s not enough information because of World War II when England bomb the fossil.